Researchers at WMG at the University of Warwick have developed a new direct, precise test of Lithium-ion batteries’ internal temperatures and their electrodes potentials and found that the batteries can be safely charged up to five times faster than the current recommended charging limits. The new technology works in-situ during a battery’s normal operation without impeding its performance and it has been tested on standard commercially available batteries. Such new technology will enable advances in battery materials science, flexible battery charging rates, thermal and electrical engineering of new battery materials/technology and it has the potential to help the design of energy storage systems for high performance applications such as motor racing and grid balancing. If a battery becomes over heated it risks severe damage particularly to its electrolyte and can even lead to dangerous situations where the electrolyte breaks down to form gases than are both flammable and cause significant pressure build up. Overcharging of the anode can lead to so much Lithium electroplating that it forms metallic dendrites and eventually pierce the separator causing an internal short circuit with the cathode and subsequent catastrophic failure. In order to avoid this, manufacturers stipulate a maximum charging rate or intensity for batteries based on what they think are the crucial temperature and potential levels to avoid. However until now internal temperature testing (and gaining data on each electrode's potential) in a battery has proved either impossible or impractical without significantly affecting the batteries performance. Manufacturers have had to rely on a limited, external instrumentation. This method is obviously unable to provide precise readings which has led manufacturers to assign very conservative limits on maximum charging speed or intensity to ensure the battery isn’t damaged or worst case suffers catastrophic failure. However researchers in WMG at the University of Warwick have been developing a new range of methods of that allows direct, highly precise internal temperature and “per-electrode” status monitoring of Lithium-ion batteries of various formats and destination. These methods can be used during a battery’s normal operation without impeding its performance and it has been tested on commercially available automotive-class batteries. The data acquired by such methods is much more precise than external sensing and the WMG have been able to ascertain that commercially available lithium batteries available today could be charged at least five times faster than the current recommended maximum rates of charge. 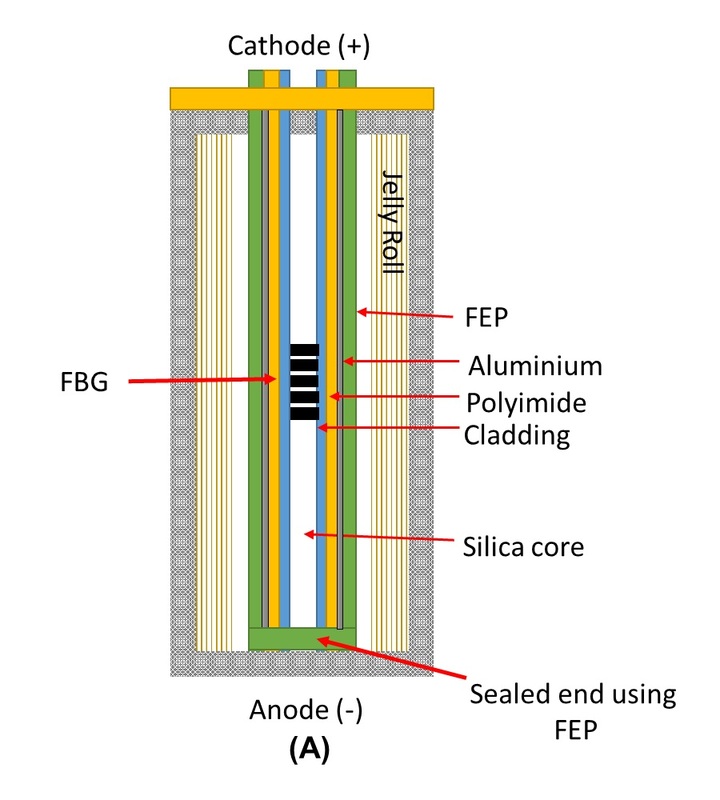 The technology the WMG researchers have developed for this new direct in-situ battery sensing employs miniature reference electrodes and Fibre Bragg Gratings (FBG) threaded through bespoke strain protection layer. An outer skin of fluorinated ethylene propylene (FEP) was applied over the fibre, adding chemical protection from the corrosive electrolyte. The result is a device that can have direct contact with all the key parts of the battery and withstand electrical, chemical and mechanical stress inflicted during the batteries operation while still enabling precise temperature and potential readings. AMPLIFII: The work outlined above was carried out as part of AMPLIFII, a collaborative research project supported by Innovate UK & UK Government Office for Low Emission Vehicle (contract reference 102490). The project consortium includes the University of Warwick (coordinator), Alexander Dennis Limited, Ariel Motor Company Limited, Augean plc, Axion Consulting Limited, Delta Motorsport, HORIBA MIRA Limited, Jaguar Land Rover Limited, JCB Service, Potenza Technology Limited, Trackwise Designs Limited and the University of Oxford.